Canada is a country rich in stories, and few take as much joy as Douglas Gibson in discovering them. As one of the country’s leading editors and publishers for 40 years, he coaxed modern classics out of some of Canada’s finest minds, and then took to telling his own stories in his first memoir, Stories About Storytellers. Gibson turned his memoir into a one-man stage show that eventually played almost 100 times, in all ten provinces, from coast to coast. As a literary tourist, he discovered even more about the land and its writers and harvested many more stories, from distant past and recent memory, to share. 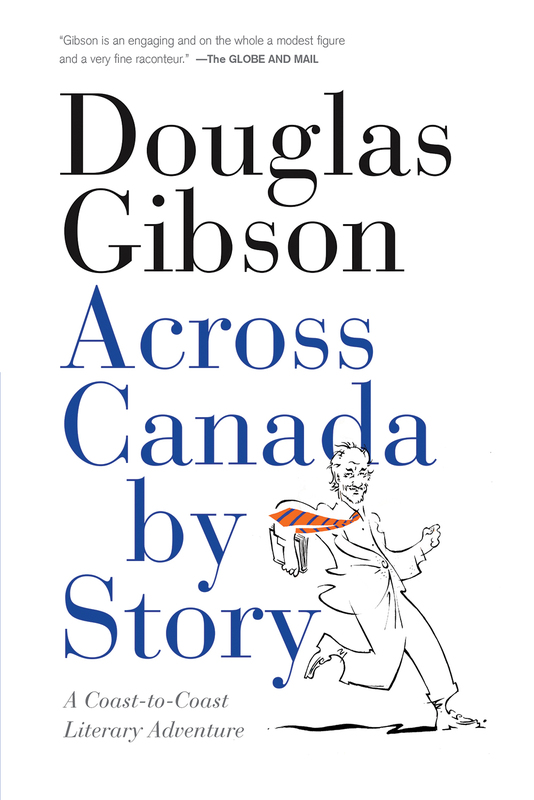 Now in Across Canada by Story, Gibson brings new stories about Robertson Davies, Jack Hodgins, W.O. Mitchell, Alistair MacLeod, and Alice Munro, and adds lively portraits of Al Purdy, Marshall McLuhan, Margaret Laurence, Guy Vanderhaeghe, Margaret Atwood, Wayne Johnston, Linwood Barclay, Michael Ondaatje, and many, many others. Whether fly fishing in Haida Gwaii or sailing off Labrador, Douglas Gibson is a first-rate ambassador for Canada and the power of great stories. Also available for your preferred e-reading device!